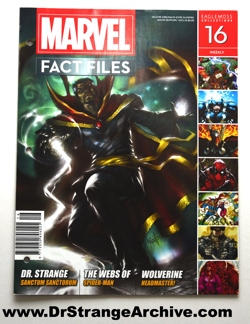 Description: This is issue 16 of Eaglemoss Collections magazine that heavily features Dr. 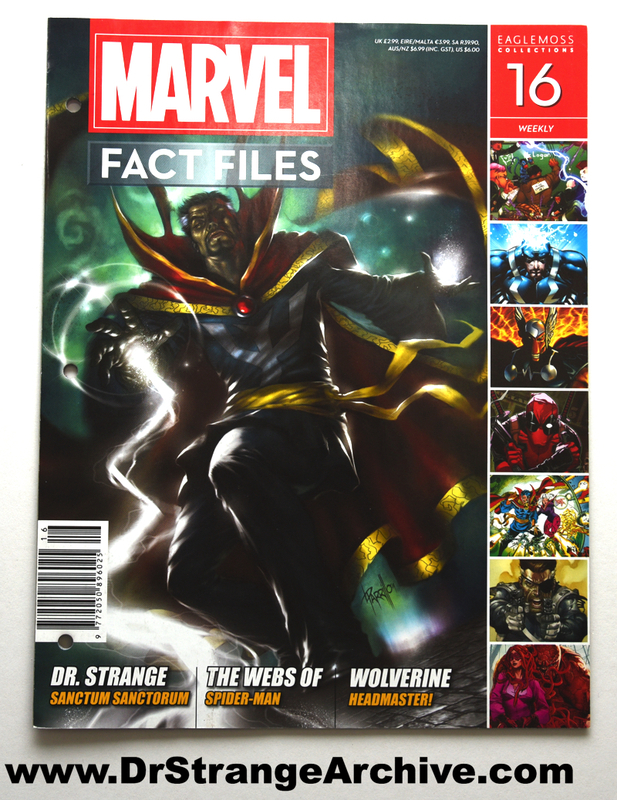 Strange along with X-men, Fantastic Four, Spiderman along with other articles. One of the foldout pages has a cutaway Sanctum Sanctorum diagram.